Marble and brass candelabrum with adjustable metal shade. The brass legs and details handcast using the traditional "lost wax" method. 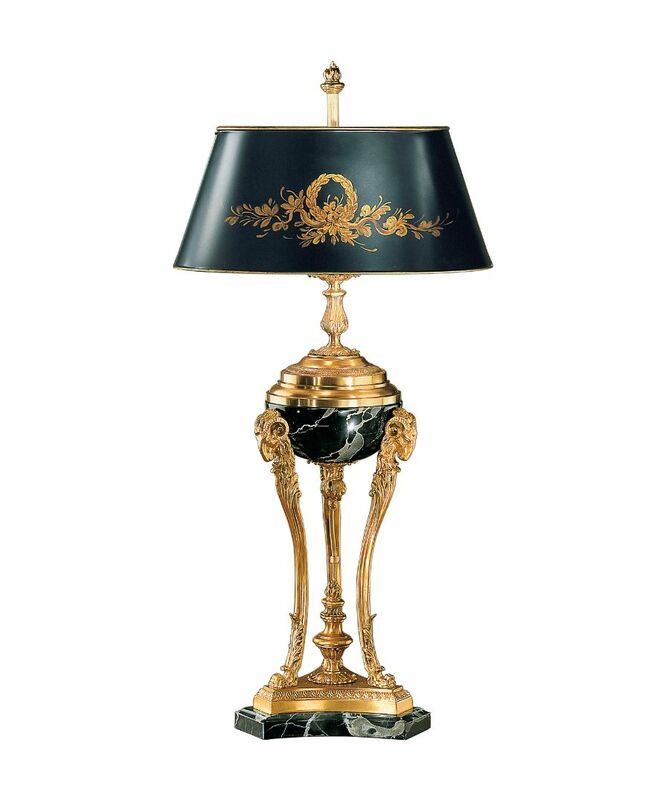 Illustrated in antique french gold finish. The shade hand painted with wreath and floral design. Other colours are available.